A fantastic, large rare vintage atomic laboratory molecule model. A beautifully preserved & far larger than usual example, the atoms in their original painted finish with adjoining chrome rods, finished with its original alloy label. 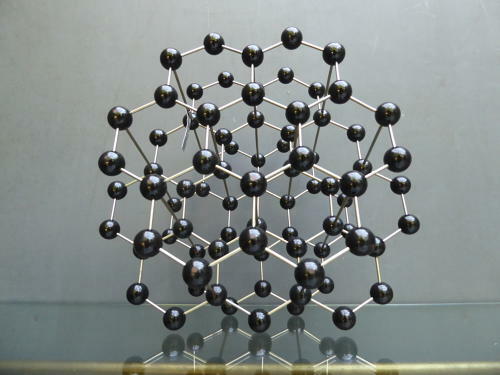 Labelled 'Grafit', the model represents a graphite molecule & makes a wonderful tactile display piece. Minimal wear commensurate with age, very good overall with age related wear to ther label.